This celebration of the clear liquor in all its guises will go down as smoothly as a lovingly created gin and tonic. A toast to gin, whether enjoyed straight, flavored, in a mixed drink, or as an ingredient in cooking. 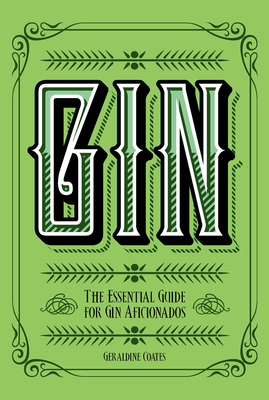 Lavishly illustrated and written in an easy-to-read style, this delightful guide not only offers classic cocktail recipes, but also describes the history of the spirit, its production and distillation, and its many variations. You'll learn where to buy the premier brands, and get tasting notes to guide you. Geraldine Coates specializes in writing about the world of drinks, in particular spirits. Her articles regularly appear in a number of newspapers, including the Glasgow Herald, the Scotsman, Scotland on Sunday, and the Sunday Times Scotland. Her books include The Mixellany Guide to Gin and Discovering Gin, and she has contributed to The Mitchell Beazley Pocket Whisky Book and The Taste of Scotland Guide.